Do You Know The 7 Mistakes When Selling Your Business That Every Buyer Wants You To Make? Do you know the most common and costly mistakes when selling your business? You know too well that there’s both an art and science to create and grow a business. You should also know that there’s an art and science when it comes to exiting your business. I was the kid right out of school with no money, experience, or team. Despite the odds, I built my company and enjoyed a 9-figure exit. Before selling my company, I made it my mission to understand the process of selling a business. I was as obsessed with learning how to sell a business as I was when I started my business. What I learned shocked me. And it turns out I wasn’t alone. Every day entrepreneurs leave catastrophic mistakes. Experienced buyers hope you make mistakes as each mistake is money in their pockets. Based on my experience and research, I uncovered seven deadly mistakes. At all costs, you must avoid the seven deadly mistakes when selling your business. What are these seven deadly mistakes when selling your business? One of the most common mistakes when selling your business is not doing your homework. Magnificent success in life requires knowing both what to do and what not to do. As with all things in life, there is a specific process for exiting your business. It’s only when you understand the process can you position yourself for success. Do you know the only question to ask before selling your business? You should. Assuming you get beyond the one question, know that you’re not an island unto yourself. You’ll need help. Lots of help. Prospective buyers hope and pray you don’t use professionals like investment bankers. And for a good reason. Experienced buyers will take advantage of you to the tune of millions of dollars. Don’t be penny wise and pound foolish. Find yourself an experienced investment banker and a team of professionals. This article shares that 90% of prospective buyers have no intent on buying a business. Talk about a waste of time and money! Your team will help you filter out competitors as would-be buyers and tire kickers. Mistakes when selling your business happens when you attempt to sell at the wrong time. Doing your homework stops you dead in your track from selling too late or early. And when you do your homework, you’ll realize how important it is for you to stay engaged in the business. Too many owners, to their detriment, check out of their business when they put it up for sale. Do your homework and do it well to avoid costly mistakes when selling your business. Ready to find out the most overlooked area that is a silent and deadly killer of business deals? Mistakes when selling your business shouldn’t include not understanding your prospective buyers. No two buyers are alike. You’ve lived the entrepreneur life. Now figure out the buyers’ life. Strategic buyers often pay more for a business to grow market share and capabilities. At the top of the list for strategic buyers is how your company helps their existing business. Your company culture is key. Financial buyers are investors looking for cash flow and future earnings. Often, financial buyers will grow a business and sell it within three to five years. Why is it important to know the type of buyer? You talk the buyer’s language, address concerns, and provide hope. Easier said than done if you don’t know who you’re dealing with and the desired outcome. As important as the type of buyer is knowing if your sale is dependent on financing. Most buyers look to outside financing to pay for the sale of your business. And this, my dear reader, is important to know. Even if everyone agrees to agree if your buyer can’t get the financing you have no deal. And when this happens, you’ve wasted a colossal amount of time and money. Don’t! Once you know who you’re dealing with and what they’re about you can maximize your success. Ready to learn what most owners learn after the sale and when it’s too late? 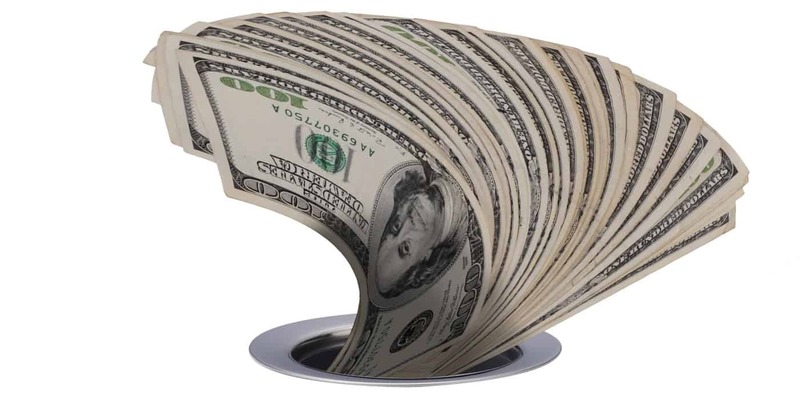 Mistakes when selling your business include mishandling cash. The sale of a business has many moving parts. There are so many moving parts that it’s all too easy to get lost in the shuffle and confusion. Don’t. Remember, you want to retire happy and rich. Keep your eye on the ball, particularly when it comes to cash. Cash is king but only when it’s in your pocket. Most owners drop the ball in two areas. First, before handing over the keys, take out as much cash-on-hand as possible. Whatever amount of cash you leave in the business you’ll never see again. Second, fight like there’s no tomorrow to get paid upfront as much as possible. Exhausted from the process, too many owners cave and agree to a partial payment. Deferring money can take many forms like a performance earn out, stock, or a deferred payment. Most buyers will insist on holding back part of the money for any number of reasons. Once you hand over the keys to the kingdom, you’ll have no control over your former business. Always remember that cash is king, but only when it’s in your pocket. Next up, extracting the hidden wealth you’ve always had but never knew. When it comes to mistakes when selling your business, don’t fall prey to over normalizing. For a higher value, most owners remove certain expenses from the books before selling. You’ll have no shortage of advice for ill-informed accountants and advisors on what to cut. Usually, research-and-development, marketing, and purchasing new equipment are the first to go. A higher value for your business. It’s one thing to take out seasons tickets to your favorite professional sports team. It’s another thing to take out activities that your business needs to grow. When you over-normalize right before you sell, you have no defensible position. The smart money is on normalizing activities years before you sell. I’ve worked with an owner who loves to buy new and expensive equipment. Every year! Other owners test new concepts for a market disruption with a slim chance of working but do it anyways. The key is finding what I call the ‘MED’ – the minimum effective dose. As an example, what the least amount of marketing dollars you can spend for the highest profit? Or how far can you spread out buying new equipment while still being efficient? Years of solid results are hard to argue. And whether you sell or don’t, you’ll have a healthier company and higher profits. Mistakes when selling your business occurs when you don’t know what you don’t know. When it comes to a non-compete, you better know what you need to know fast. Buyers will protect their new investment, aka your business, at all costs. The last thing any buyer wants is to wake up tomorrow and compete with you. You better be ready to compete for a reasonable non-compete. Early in the negotiation process you better define the terms of the non-compete. Success without fulfillment is a failure. After the thrill of the sale, reality sets in, and you now want to have a life worth living. If you’re like most business owners, the company was you, and you were the company. With a non-compete, you can no longer do business with your industry contacts. And forget about snatching your former employees. While you may decide to never work in your former industry again, make sure you have options. Be precise when defining the geography, activities, and industries that are off limits. A five-year non-compete may not seem like a long time. But five years of boredom can feel like an eternity. The fewer number of years your non-compete, the better. Don’t be like most sellers who make the fatal mistake of not fighting for a reasonable non-compete. Mistakes when selling your business happens when you believe the lie that you only need one buyer. The sale of my EdTech, Embanet, had over 80 interested buyers. This was no accident. The professional team we hired to help sell the business were remarkable. Don’t believe the lie that that any serious buyer will walk away when there are many buyers. And don’t believe that multiple buyers cost you more money. One is no choice. Two is a dilemma. Three is a real choice. Yes, many buyers will cost more money and takes more time. Serendipitously, a company approached me to buy my company at the same time I decided to sell. For me, this was an opportunity to do a dry-run of selling my company. My goal was to find my blind spots and fix them before the actual sale. The company offered 3 times my earnings which worked out to 7 figures. When I sold my company thirty months later, I had a 9-figure exit and received 13 times my earnings. The prospective buyer knew they were the only game in town and took full advantage of this. Mistakes when selling your business shouldn’t include having only one prospective buyer. Mistakes when selling your business include you believing you’re indispensable to your business. First, you’ll be happier and richer when your company runs without you. Second, buyers will slap a large discount on your company value, at best. At worst, buyers will run the other direction as fast as they can and have no interest in buying your company. Would you invest millions of dollars in a company that depends on one person to make it work? And this indispensable person now has lots of money and little motivation to work. I wouldn’t touch that company. And if you’re honest with yourself, neither would you. Do yourself a favor now and ensure you have a strong management team to run your company. Whether you sell your company or not, you’ll have a healthier and more profitable company. And if you do sell your company, you’ll get more money for your company. If I knew back in the day what I know now, my multiple would have jumped from 13 times to 14 or 15 times. Mistakes when selling your business shouldn’t include having you indispensable to your company. Mistakes when selling your business have you needlessly leave money on the table. Lots of it. When it comes to existing your business, there’s an art and science to ensure you maximize your value. But if you’re like most sellers, you’re new to this game called selling your company. You have one chance. Don’t screw it up. I almost did. Thankfully I didn’t. Before selling my business, I made it my mission to learn and understand the process. It took me years to figure out but was worth it. I uncovered the seven deadly areas that cause mistakes when selling your business. And when I did, I went from a 7-figure 3 times multiple offer to a 9-figure 13 times multiple offer a mere thirty months later. I avoided the major mistakes when selling your business. Whether you plan to sell your company or not, know this. Master the seven areas I reveal in this article, and you’ll have a more profitable company.